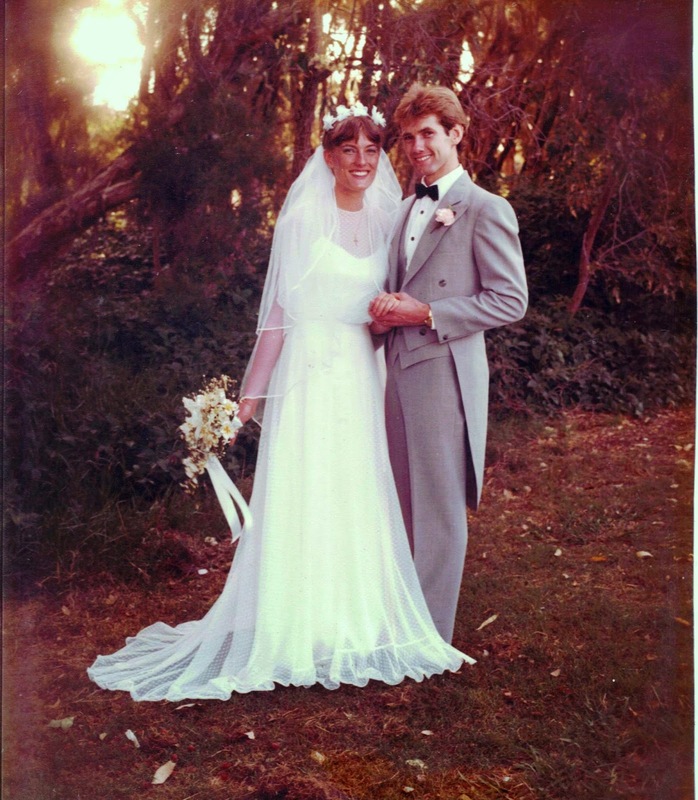 I married my lovely husband in February 1983 - a VERY long time ago! We were (and still are) complete opposites but that didn't phase us in the slightest - love conquers all, our differences compliment each other and one's strengths offset the other's weaknesses ......or so we thought. What we didn't consider was the impact being completely different people has on a day in day out marriage. He was the strong silent type - so I'd badger him to talk more, I'm independent and a tad feisty - he'd back off and hide in his "cave" every time he thought we were arguing. The good thing about believing that marriage is for a lifetime is that you get over the differences and the edges smooth off a little and you learn how to live together (fairly) peaceably and stay in love. He snores, I nag, life goes on regardless. I assumed married life would be a lot smoother, the steady jobs, the compliant children, the lovely holidays etc etc. 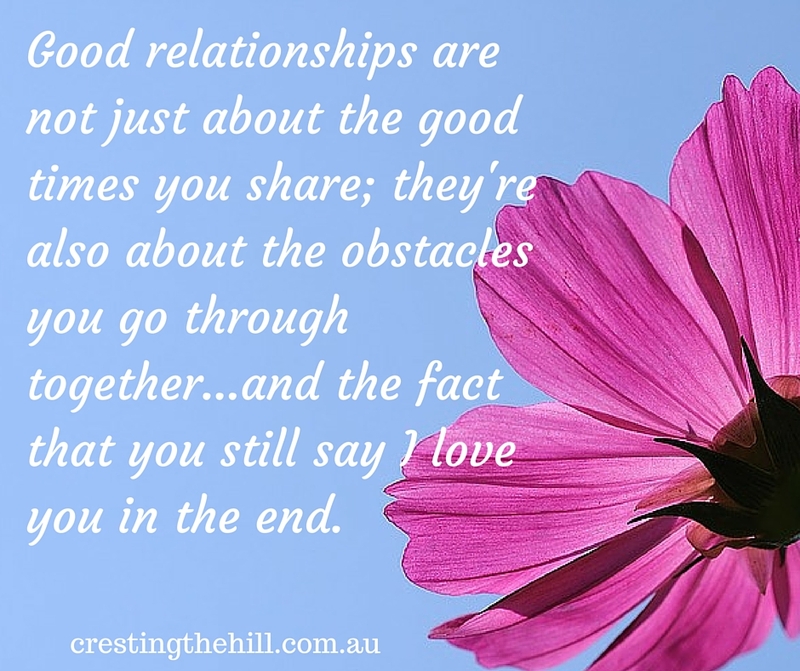 I hadn't figured on the multitude of upheavals that we'd go through in the 30+ years we have been together. I assumed the "for richer for poorer" would involve a lot more richer and a lot less poorer than we have experienced. I thought "in sickness and in health" meant sickness in old age - not depression throughout the last twenty or so years. I also assumed there would be an awful lot of "better" and very little "worse" when I was a love struck 21 year old. The amazing thing is that we are still here and still going strong and still loving each other. Both our children flew the nest in their late teens, we've been on our own again for the last five or six years and we came close to tossing in the towel once a couple of years ago. We stuck it out, talked it through and I think we're stronger for the experience. Our life is smaller in some ways and more home centred and we are not as social as we once were. But you know what, I wouldn't swap him for the world. I'd like to have missed out on some of the less fabulous parts of the last few decades, but we wouldn't be the couple we are now if it wasn't for the upheavals we've weathered. Just perfect! Thank you for sharing! Leanne, that's what I call a success story! Love the photos, then and later--still looking good!